There are many different ways to achieve perimeter security at your location. A person must first determine what level of protection is needed. 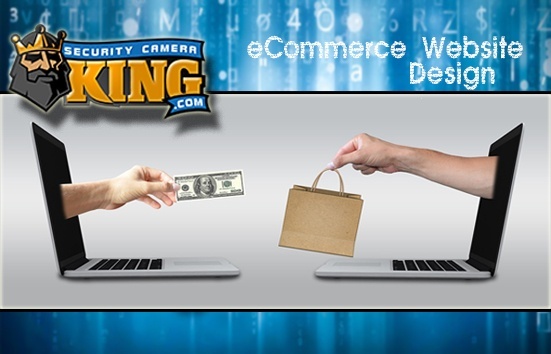 I will be describing a setup used by many business and home owners. 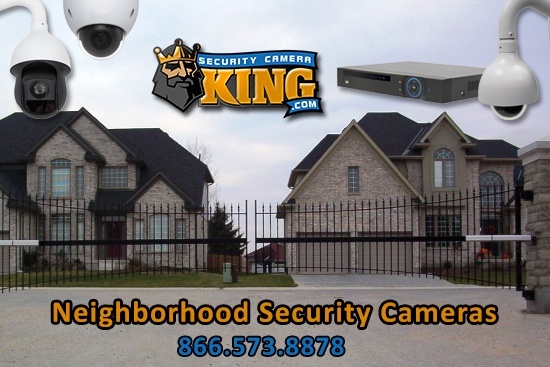 The equipment used will be; security cameras, a dvr, IR illuminators, flashing lights, sirens, access control system, email, sms/text messaging, cell phone, and modem/router, push notification mobile app, guard dogs, remote controlled door for dog kennel, and chain link fence. This setup is based off the idea you the owner want to be notified that you have a perimeter breach. I know some items on the list are not too orthodox, but with proper configuration can be used to devastating effect while protecting your valuables. First the perimeter itself needs to be fenced in. 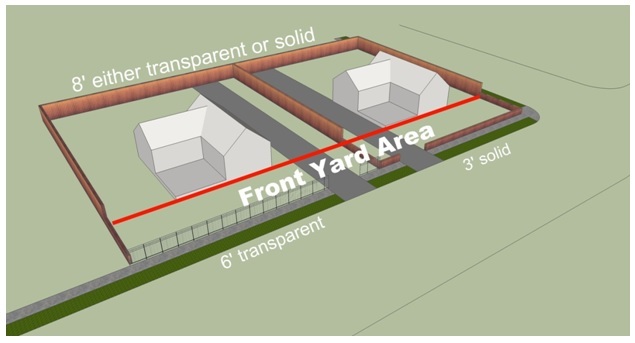 The chain link fence should have a continuous run around the property. Gates should be limited to only two. It is preferably that there is only one entrance to minimize a vehicle from gaining access to the property. In the previous illustration I have two types of fence the front is see through or standard chain link fence. The other is a privacy fence to stop people from seeing into the property. The fence has two purposes the first is to stop intrusions the second is to create controlled access points. If we can control where people are going to enter the property we can take steps to ensure that only individuals with authorization are on the property. The next step is putting the access control system in place. There are many types but for this article I will describe key card access. Card Access systems are a convenient, versatile, secure and reliable solution to access management and people management. This system allows access with the use of RFID or radio frequency identification. At the gate or door there will be a sensor connected to the access control monitor. The person places their card to the sensor and reads the frequency. The system validates users’ card then unlocks the door. Miniaturization has come a long ways, so it is possible to get fobs instead that are the size of a coin and one eighth inch thick to put on your key ring. Access controls system should be installed on every single door on the premises. Individuals should only be given access to areas that they need to be in. People should not be given access to areas that they do not need to be in to perform their functions. Should a key card be lost this will limit a possible breach to certain areas instead of the whole complex. Now let’s add another layer of protection with cameras. On the outside perimeter we need to install cameras. In each corner you will need four cameras for a total of sixteen. These cameras are going to be poll mounted inside the fence line. The poll needs to be at least 8 feet taller than the fence to give a clear field of view, and stopping the corners from turning into blind spots by mounting the cameras on the corners of the fence itself. Pan tilt zoom cameras will be needed to track movement. Referring back to the first illustration PTZ cameras should be mounted on the peaks of the building. These cameras should have a tour configured to scan the yards. Another feature that pan tilt zoom cameras have that work in conjunction with a regular camera is once the perimeter camera sees motion the PTZ camera can move to a preset location to bring the PTZ into view of the non-ptz camera. Auto tracking will then pick up the target and follow until out of view. Another feature of the PTZ camera is that it can be set up to move to a preset when an alarm is triggered. A door, window, or almost any sensor can have an alarm circuit on it. The circuit is either normally closed or normally open depending on the device. When a door opens the sensor transmits the signal to the camera. Then the camera moves to the preset associated with the alarm. Used in conjunction with access control system you can avoid having another camera to monitor people entering through a door. Infrared illumination is important. Infrared is what lets cameras see in the dark. IR illuminators will need to be installed around the property this will make sure the cameras see everything. Illuminators come in varying shapes. They can look like bullet camera or flood lights. These Illuminators need to be everywhere you have cameras installed. On the building inside the perimeter the infrared lights should be mounted. For ease of installation they should be mounted underneath the cameras so you can pull all the cable at one time to the mounting location for both camera and illuminator. Since the infrared lights do not need to be on during the day they can be put on timers to come on before dark. The reason to have them come on before dark is to not miss anything during transition from dusk to dark. We now have the fence up and cameras installed. Also proper illumination now guarantees good picture quality. Surveillance of the entire complex has now been achieved. Still we need extra configuration on the digital video recording unit to secure the perimeter. I will assume that an internet connection and network configuration is already taken care of. The DVR needs to be configured to be able to send snapshots through email. Another very new feature that is still in development is text messaging to cell phones. This way the DVR can notify personal there has been a breach. Flashing lights and sirens can be triggered to go off through a push of a button on a smart phone app. This will let intruders know that we aware and initializing intruder protocols. Should the intruders linger on the property this is where the guard dogs earn their keep. Access control is a versatile technology. There is no door made that cannot be integrated with the technology. Integrating the access control with the kennel doors the dogs can be let out remotely or triggered by an alarm event from the DVR. Set up multiple sirens in different zones so they can be triggered individually. Once the hounds are loose they will go to the area of the noise to investigate. 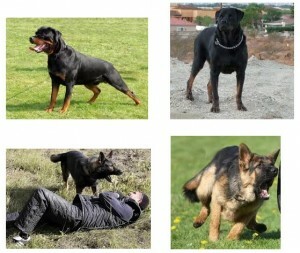 Depending on the guard dogs used is how fast your intruders will be exiting the property. A good pair of German shepherds or Rottweiler’s will ensure the desired effect when the lights and sirens fail to provoke a response from the intruders. Technology with proper application can be used to the reduce manpower overhead. In this application we have now managed to secure a perimeter using zero man power. We have now saved thousands if not tens of thousands of dollars by automation and eliminating human errors.